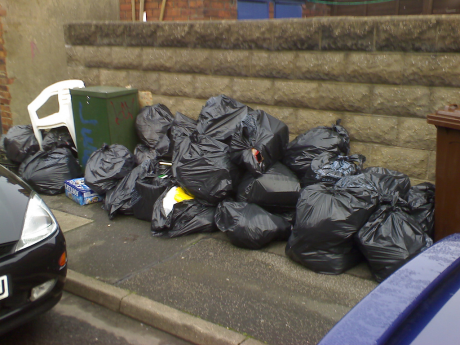 One of the big arguments against fortnightly collection is vermin. 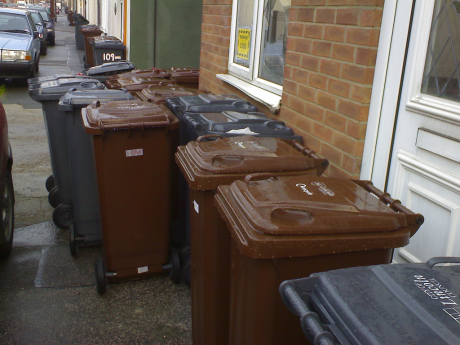 Now in Lincoln fortnightly collection came in with the wheelie bins. Which of the two pictures below do you believe would result in more rats? Well there is only one choice isn’t there – the bags!!! Keep them out. Plus, the wheelie bins emptied once a fortnight increases the amount that is recycled!!! Is the second picture taken from an episode of Dr Who? have a look at this great item it will invaluable to many households. great compacter for your wheelie bin. just the job..